Search engines will rank a site higher on the Search Engine Results Page if it has a lot of links leading back to it from other sites, especially sites that are considered expert or authoritative. You can improve your site’s ranking by building a lot of these links, known as backlinks. One of the most popular ways to build backlinks is to write short articles on topics related to your website’s niche, and then submit those articles on free online article directories, such as ezinearticles.com, examiner.com, and ehow.com. Whenever you submit an article to another site, always remember to include a link back to your web page. Then, every time your article is published by and article directory, it create a backlink to your web page. The more backlinks you have — especially from sites internet users trust to provide helpful information, such as ehow.com and about.com – the higher the value the search engine will assign to your website and the higher its ranking on the SERP. The downside of creating backlinks is that it can be a slow and tedious process, and it can take a long time to result in increased traffic or higher rankings. In recent years, unethical marketers have discovered ways to automatically generate hundreds of backlinks for a website using computer programs and fake user accounts. 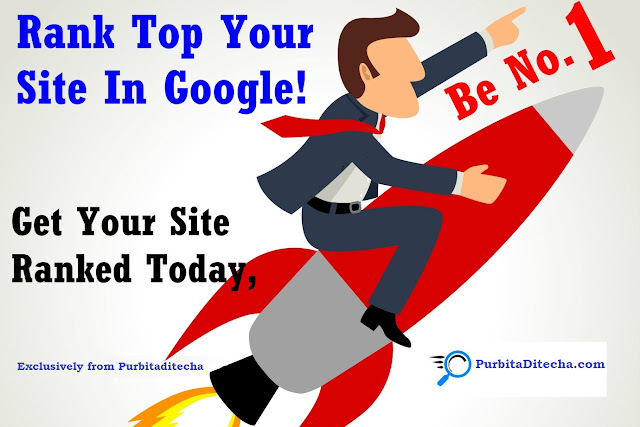 Google and other search engines have subsequently changed their algorithms to give less value to backlinks. If you want to attract visitors to your website, you need to go to where they are located. Online communities, also known as forums, are places where people who share a common interest can get together to exchange information and ideas, discuss issues and interact with other passionate fans. Forums can take the form of message boards or chat rooms but one of the newest and most exciting types of forums is Google+’s Hangouts. These are virtual rooms where people can go to talk about specific topics, but by using the built-in cameras installed on most modern computers, you can actually see all of the other people in the room. Although Yahoo no longer has its own search engine – it began using Microsoft’s Bing search engine in 2011 – it does have one of the largest collections of online groups devoted to every topic imaginable. Think of any topic and you can find a site that is filled with loyal and devoted fans. For example, go to Yahoo! Groups and search Britain’s Got Talent singer Susan Boyle and you will find about a dozen groups, each of which has dozens of members. One of the greatest benefits of the internet to marketers is that it makes it easy to find highly-targeted groups of people. Where in the past it could take weeks or months and considerable expense to locate a few dozen people who are passionate about your product niche, with tools such as Yahoo! Groups this task can be accomplished in just a few moments. To promote your website on Yahoo! Groups, join the groups that are devoted to your niche and begin to interact with the other members. In most cases, it’s probably not a good idea to start selling hard right away. Instead, participate in conversations, talk a little about yourself and your personal history, and start to develop personal relationships with the other online group members.